How To Find A Perfect Diamond Carat For Your Budget? Diamond carat is an essential element of Diamond 4 C’s. If you are looking for diamond carat explanation, you are in the right place! If you will have any additional questions after reading the article, feel free to contact me. Diamond weight is measured in carats. The word originated in ancient Greece and means “fruit of the carob” since carob tree fruit had a reputation for being uniform in weight and size. The carat was introduced as the official unit of weight for diamonds in 1907, at the fourth General Conference on Weights and Measures, and the standard for one carat was set to equal 200 milligrams (0.2 grams). In diamonds, dimensional size is not necessarily proportional to weight. Two diamonds with the same shape and weight can have different diameters. For example, a one carat round-cut diamond can be anywhere between 5.90 mm and 6.60 mm (millimeters) in diameter whereas the ideal diameter size would be 6.45 mm to 6.50 mm. The reason for this difference in diameter is depth: when the depth of the cut is shallower, the diameter must be larger to maintain the same carat weight. As diamond carat size increases, both the diameter and the depth of the diamond also increase in size. Doubling the weight does not double the size of the diamond because the diamond is larger in both diameter and depth. A 1.00 carat diamond is 6.5 mm in diameter and 4 mm in depth. Diamond cutters sometimes leave extra weight on the Crown (top), Pavilion (bottom), and Girdle (sides) of the diamond to achieve extra weight and higher price. This type of cutting affects the overall size of the diamond. Every shape has a unique look to suit the individual tastes of buyers. When shopping for a diamond, it is important to know that diamonds of the same weight but cut with different shapes do not have the same size (diameter and depth). The table below provides examples of how a 1.00 carat diamond cut into different shapes will vary in dimensions (in millimeters). All values are rounded off to show the basic differences. * Emerald and Radiant shapes are ideally long but sometimes are cut to be square. ** Emerald, Oval, and Radiant shapes are long and therefore described using three dimensions: Length x Width x Depth. As you can see, every shape has different diameter and depth measurements. This means that some shapes visually appear to be larger than other shapes even when the diamonds are of equal carat weight. 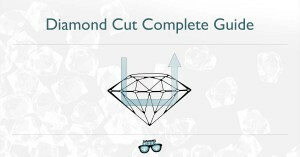 Diamond Cut is the most important aspect of the diamond. An ideally cut diamond looks like a “Fireball” — very shiny and sparkly, whereas a diamond with an average to poor quality cut may look nice, but cannot look as amazing as a well cut diamond. A well-cut diamond not only looks better in terms of sparkle but also in terms of apparent size. When a diamond is cut well, its spread is also at its best. The difference in price between a well cut diamond and a diamond with only a good cut isn’t that significant and paying a little more for the quality of the cut is worth the difference. Diamond Carat has the greatest effects on its price. Larger diamonds command a higher price among diamonds of the same Shape, Clarity, Color, and Cut. Doubling the size of the diamond quadruples the total cost (not price per carat). The reason larger diamonds are much more costly is because smaller diamonds are much more common in nature than larger ones. Fancy diamonds — all other shapes. Each group is then divided into smaller tables by Weight and then by Color and Clarity grades. 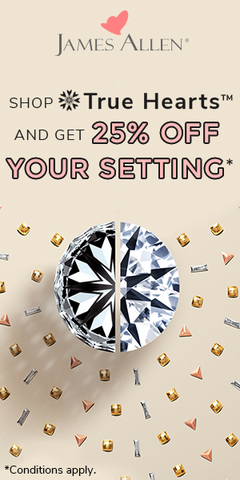 There is more demand for Round diamonds — 75% of all diamonds sold are Round. There is more loss of rough material when cutting a diamond to a Round shape than there is for any other shape. The price of diamonds increases with every increase in weight. For example, look at the Rapaport sample table above and note the prices for Round diamonds that weigh 2.00 – 2.99 carats. When you compare these prices to the prices in the next size category (3.00 – 3.99 carats), the prices increase in every cell of the table. Because larger diamonds are more costly to begin with, diamond cutters prefer to cut diamonds to a higher weight (the full size) and compromise the quality of the cut and the looks of the diamond. A good way to save money when buying a diamond, assuming size isn’t the most important aspect for you, is to buy one size group smaller. The industry refers to these diamonds as “Under-Sized”. If you were shopping for a 1.00 – 1.05 carat diamond, choosing a 0.90 – 0.95 carat diamond can save you 8 to 20 % in the diamond price (this does not consider the price of the setting). This is true for every size selection. According to the Rapaport price list, a 1.00 carat G VS2 diamond costs 1.37 times more than a 0.99 Carat G VS2 diamond. There are very few diamonds that are very close to that upper weight limit, but there are enough diamonds that weigh 0.92 – 0.96 carat and are very close in size but still achieve the price difference. This difference in price is not a fixed number, rather a percentage difference in price from one weight class to the next. 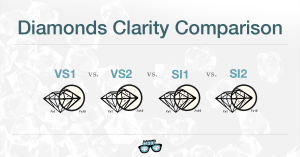 The main thing to remember about diamond pricing is that larger diamonds are more expensive than smaller ones when the other “3 Cs” (color, cut, and clarity) are equal. There is a diamond for almost every budget and typically there are several options in the same budget range to meet your personal preferences and priorities in terms of your “4 Cs”. If diamond carat is most important to you, consider compromising either the diamond clarity or the color but definitely not the cut. A well cut diamond returns the maximum amount of fire and looks its best. The shape is a matter of personal choice. 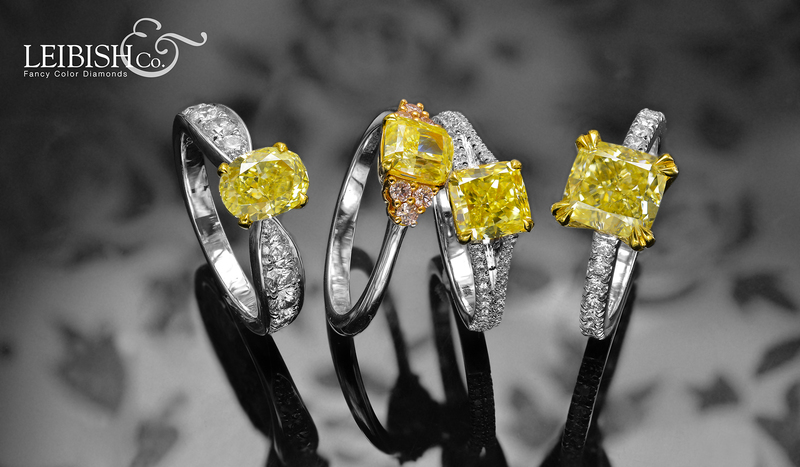 Some shapes look larger than others of the same carat size. Round diamonds are the most expensive shape and have a separated price category in the Rapaport price list. Consider the intended wearer’s ring (finger) size when shopping for a diamond. There is a great looking diamond for almost any budget. The best way to save money on diamond weight is by going one size category down. The size difference isn’t that significant, but the price is. The “total weight” of a diamond describes the total weight of all diamonds set in a piece of jewelry such as earrings, pendants, rings with pavé settings, and other types of jewelry. A 1.00 carat single diamond is more expensive than 1.00 carat “total weight” of more than one smaller diamonds.